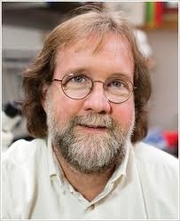 Sean B. Carroll is a biologist. Sean M. Carroll is a physicist. Please do not confuse/combine these authors. The HANDS ON BAY AREA BOOK CLUB will discuss Remarkable Creatures: Epic Adventures in the Search for the Origin of Species by Sean Carroll. Sean B. Carroll's book Brave Genius was available from LibraryThing Early Reviewers. Sean B. Carroll is currently considered a "single author." If one or more works are by a distinct, homonymous authors, go ahead and split the author. Sean B. Carroll is composed of 7 names. You can examine and separate out names.